To serve the needs of the business, our guests and our colleagues by leading the overall kitchen operations of the hotel. - With the restaurant chef, organize all activities within a Restaurant Kitchen area, ensuring a safe, smooth running and profitable operation within the framework of the Hotel. - Support the development of Restaurant cuisine concepts and standards. Be familiar with local market & suppliers. Recommend menu changes according to seasonal product availability. - Adhere to AVANI food preparation and presentation guidelines to ensure consistent quality culinary offerings to our guests. 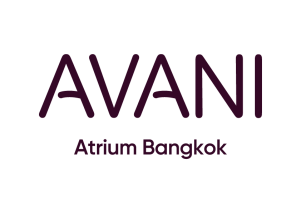 Continually look to recommend improvements and additions to the AVANI presentation guidelines. - Maintain food safety & protection. All food in working areas should be in compliance with food handling techniques, including dating, proper storage, rotation, etc. Maintain basic food safety and sanitation practices. - Maintain outlet safety at all times. - Take responsibility for asset management of all outlet property and facilities. - Participate in departmental training to improve departmental skills and hotel service levels, providing associates the training and resources to take care of our guests. - Promote positive inter-departmental relations through candid communication and cooperation.